Ireo Victory Valley Overview:- Nestled amidst beautifully landscaped gardens, Ireo Victory Valley is a residential property in Sector-67 of Gurgaon, developed by the famous real estate group, Ireo Management. Having designed in a modern fashion, the Ireo Victory Valley offers beautifully crafted 2BHK, 3BHK, 4BHK flats at affordable price list that will not burn a hole in your pockets. The project provides easy accessibility to the important commercial and business areas of Gurgaon. Victory Valley is the tallest residential complex with 51 floors, the luxury of living in the clouds affords a breathtaking a view of the skyline. 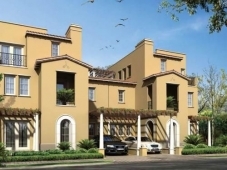 Marbella Villas Overview:- Emaar MGF Marbella, located in Gurgaon, is a residential development of Emaar MGF. It offers spacious and skillfully designed 4BHK and 5BHK villas. The project is well equipped with all the basic amenities to facilitate the needs of the residents. The site is in close proximity to various civic utilities. DLF Aralias Overview:- Find apartments and flats for rent in Gurgaon at DLF Golf Links, Golf Course Road, Sector 42 in DLF Aralias according to your budget and space requirements at Ayana Housing Pvt Ltd. Consult now real estate agents to book your flats/apartments at DLF Aralias and get best deal accordingly. DLF Magnolias Overview:- Find Luxury apartments and flats for rent on Golf Course Road, Sector 42 in Gurgaon at DLF Magnolias according to your budget and space requirements at Ayana Housing Pvt Ltd. Consult now real estate agents to book your flats/apartments at DLF Magnolias and get best deal accordingly. Verandas Overview:- Find Luxury apartment and flats for rent in Gurgaon on DLF Golf Course Road, Suncity, Sector 54 at Varandas according to your budget and space requirements at Ayana Housing Pvt Ltd. Consult now real estate agents to book your flats/apartments at Varandas and get best deal accordingly. Caitriona Overview:- Find Luxury apartments and flat for rent in Ambience Island, DLF Phase 3, Sector 24 in Gurgaon at Catriona according to your budget and space requirements at Ayana Housing Pvt Ltd. Consult now real estate agents to book your flats/apartments at Catriona and get best deal accordingly. La Lagune Overview:- Find Luxury apartments and flats for rent on DLF Golf Course Road, Suncity, Sector 54 in Gurgaon at La Lagune according to your budget and space requirements at Ayana Housing Pvt Ltd. Consult now real estate agents to book your flats/apartments at La Lagune and get best deal accordingly. Palm Terraces Select Overview:- Newly built house with no prior person staying. Gated society with club house, gym and swimming pool. Spacious and well lit with 4 bedrooms and a servant room. Dresser area with every room also available. DLF Belaire Overview:- Find Luxury apartments and flats for rent on DLF Golf Course Road Gurgaon at DLF Belaire according to your budget and space requirements at Ayana Housing Pvt Ltd. Consult now real estate agents to book your flats/apartments at DLF Belaire and get best deal accordingly. 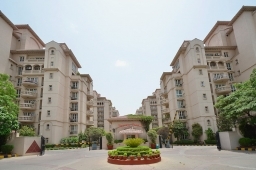 DLF Park Place Overview:- Find Luxury apartments and flats for rent in Phase 5, DLF City V Sector 54 in Gurgaon at DLF Park Place according to your budget and space requirements at Ayana Housing Pvt Ltd. Consult now real estate agents to book your flats/apartments at DLF Park Place and get best deal accordingly. Central Park 2 Overview:- Find luxury apartments and flats for rent in Sector 48 Sohna Road Gurgaon at Central Park 2 according to your budget and space requirements at Ayana Housing Pvt Ltd. Consult now real estate agents to book your flats/apartments at Central Park 2 and get best deal accordingly. 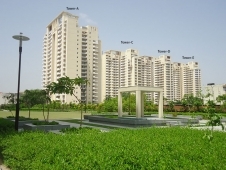 3c Greenopolis Overview:- Orris Infrastructure Pvt Ltd. Sector 89, Gurgaon is believes in leaving an everlasting fragrance in the minds of its customers, just like the extraordinary rare flower Orris. Focusing on the efficient use of energy, water and building material, Greenopolis is an innovative blend of efficient technologies creating an eco-friendly habitat. 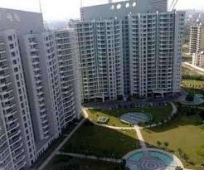 The project offers spacious 1862 units in 2 and 3 BHK flats in Sector 89, Gurgaon divided into 27 huge towers. As per the 3c Greenopolis construction update the 3 BHK flats are still under construction with the estimated time of possession between by December 2018. 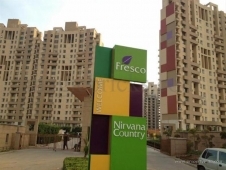 Nirvana Country Overview:- Find Independent Villa for rent in Sector 50 Gurgaon at Nirvana Country according to your budget and space requirements at Ayana Housing Pvt Ltd. Consult now real estate agents to book your flats/apartments at Nirvana Country and get best deal accordingly. Unitech World Spa Overview:- Find Luxury apartments and flats for rent on NH 8 Sector 30, Gurgaon at Unitech World Spa according to your budget and space requirements at Ayana Housing Pvt Ltd. Consult now real estate agents to book your flats/apartments at Unitech World Spa and get best deal accordingly. Unitech Close Overview:- Find Luxury apartments and flats for rent in Sector 50 Gurgaon at Unitech Close according to your budget and space requirements at Ayana Housing Pvt Ltd. Consult now real estate agents to book your flats/apartments at Unitech Close and get best deal accordingly. Uniworld City Overview:- Find apartments and flats for rent on NH 8 Sector 30, Gurgaon at Uniworld City according to your budget and space requirements at Ayana Housing Pvt Ltd. Consult now real estate agents to book your flats/apartments at Uniworld City and get best deal accordingly. Atlantis Overview:- Find Luxury apartments and flats for rent in Gurgaon on National Highway 8, Sector 31, 32A, at Atlantis according to your budget and space requirements at Ayana Housing Pvt Ltd. Consult now real estate agents to book your flats/apartments at Atlantis and get best deal accordingly. 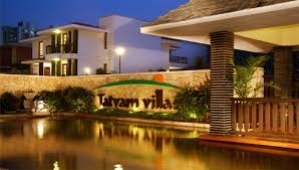 Tatvam Villa Overview:- Find Independent Villas for rent on Sohna Road, Sector 56 Gurgaon at Tatvam Villa according to your budget and space requirements at Ayana Housing Pvt Ltd. Consult now real estate agents to book your flats/apartments at Tatvam Villa and get best deal accordingly. 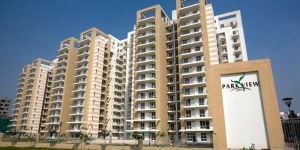 Palm spring villa Overview:- Find luxury apartments and flats for rent in Gurgaon at Palm Spring Villa according to your budget and space requirements at leasing.net.in. Contact our Residential leasing consultant to get further details of flats/apartments available on lease at Palm Spring Villa Gurgaon and other residential property on rent in Gurgaon. 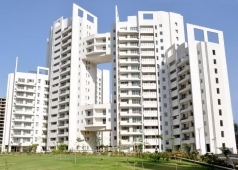 DLF The Summit Overview:- Find luxury apartments and flats for rent in Gurgaon at DLF The Summit according to your budget and space requirements at leasing.net.in. Contact our Residential leasing consultant to get further details of flats/apartments available on lease at DLF The Summit Gurgaon and other residential property on rent in Gurgaon. 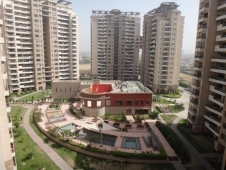 Park view 1 Overview:- PARK VIEW CITY is a unique third generation self-contained design located on Sohna-Gurgaon road. The project is spread over 13 Acres of open and green land. This is one of the greenest Group Housing schemes, having 10 elegant towers magnificently spread along the periphery of 5 Acres of Lush Green Landscape Park, along with exclusive club and recreational facilities. Emmar Palm Spring Overview:- The Palm Springs is designed to provide luxury integrated community living, set in dramatic and spectacular surroundings. The Palm Springs is wholly self-contained and amenity rich. A harmonious blend of lifestyle options; from low rise luxury villas to spacious apartment towers situated in acres of elegantly landscaped garden and parks. The Palm Springs provides residents with the perfect setting for an extensive array of recreational and leisure pursuits. Boasting a wide choice of amenities you can socialise or simply relax in peace, the community has the ideal spot for everyone. 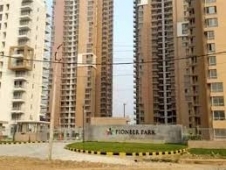 DLF Pinnacle Overview:- The buildings of the DLF Pinnacle Tower are designed according to the standards of seismic Zone V specifications - a level above the mandatory fulfillment norms in Delhi and Haryana. No need to mention that all the flats are designed in Feng Shui and Vaastur friendly manner, which also allows plenty of fresh air and natural light. 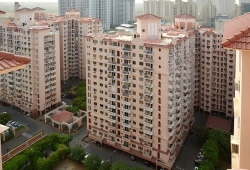 The chief attraction of the condominium is its club facility with a large swimming pool, gymnasium, a multipurpose hall, party lawns, a tennis court, badminton court, basketball court and a large underground basement parking providing enough space to park the vehicles of the dwellers and the visitors. Tata Raisina Overview:- Welcome to Raisina Residency, where life's luxuries take form of art & culture. Offering an unhindered view of the Aravali Hills on one end and the backdrop of the city skyline on the other, come live at Raisina Residency and witness for yourself, inspiration in every brick and carved to perfection with imagination. 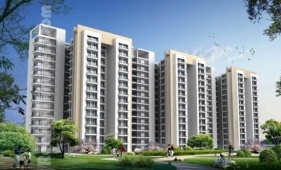 M3M Merlin Overview:- M3M Group residential project M3M Merlin located at Sector 67, Golf Course Extn Road, Gurgaon. M3M Merlin offers 3BHK, 4BHK apartments and Penthouses. M3M Merlin apartments are modern and youthful and are themed on Singapores luxury residencies. Project entrance of each building opens up in an innovation of luxury and design as well as balconies of all the apartments is very spacious that they can be used as an entertaining arena of your house; these balconies have bamboo made slides that are movable making the faade of each tower different whenever you look at it. 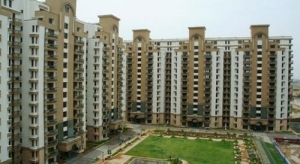 Beverly Park 1 Overview:- The project is placed in Sector 28 of Gurgaon. 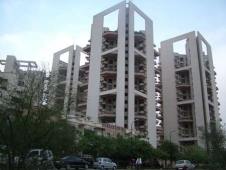 It is a part of Gurgaons suburban regions called DLF City. Working professional find this a perfect residential destination for they can reach their offices in minutes via National Highway No.8 (NH-8), Golf Course Road and metro stations. At Sikandarpur Metro Station, Delhi Metro will connect Gurgaons Rapid Metro. The latter, which will add more stations besides passing DLF Cyber City is expected to be completed by July 2015. 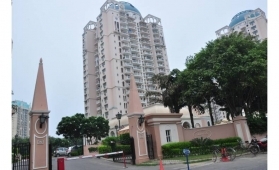 It lies near DLF Oakwood Estate, MGF The Villas and JMD Regent Square. Fresco Overview:- Deep in the heart of NIRVANA COUNTRY, lies , a new, modern residential community designed as a nurturing refuge from the bustle of the city, a refreshing oasis where residents enjoy peace of mind, comforts of home, and pastoral gardens. Fresco, conceived and designed by Callison Inc, this high rise project comes with a fully fitted modular kitchen and air-conditioning in all bedrooms & living and dining area. DLF Phase IV Overview:- DLF Phase 4 (IV) is primarily an inhabiting phase and consists of some of the magnificent DLF Apartments and Homes. Buildings and Apartments are characteristically marked with architectural brilliance and luxurious accommodation in Gurgaon. Hamilton Park, Regency Park, Ridgewood and Windsor Court are some of the famous Residential Buildings. 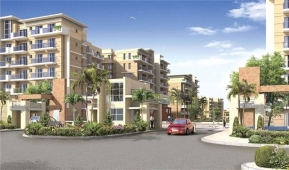 Hibiscus Overview:- The Hibiscus, a modern residential project located in sector 50, is well-connected to NH-8 and lies near to the Golf Course Extension Road and Sohna Road intersection. Good connectivity and proximity to important institutions are some of the location advantages offered by this project. Named after the beautiful plant and flower, which is known to have adapted and survived in different environments, the complex embodies this idea of being an enduring feat of architecture, lasting for generations to come. 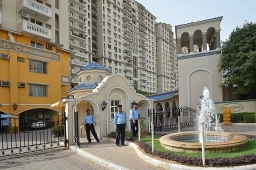 An initiative of the SS Group, The Hibiscus has been designed by the renowned duo of architect Ramesh Khosla and landscape architect Paul Friedberg, and a comes with choices of marvelously designed 3BHK and 4 BHK apartments, villas and penthouses, which are an ideal blend of functionality, design, comfort and luxury. The landscape is as charming as the apartments with an abundance of water bodies, stone seats, games court, scenic walkways, screen walls, which provide you with a relaxed and tranquil environment. To sum it up, living in The Hibiscus is like experiencing the best of what life has to offer. Trinity Tower Overview:- DLF Trinity Towers is strategically located in Phase-V of DLF City and offers apartments that provided all the advantages of a perfect location, luxury specifications and more space - and that too at an affordable price. With just four apartments per floor, complete privacy is assured. Moreover, there is an exclusive club with a swimming pool within the apartment complex. The apartment complex has a power back of up to 7.5 KVA with four spacious bedrooms, a study, and three balconies, which overlooks two sides of the surroundings. 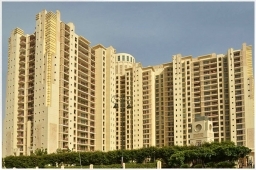 Royalton Tower Overview:- The Royalton Tower is located on the 30 meter wide Sector Road in Phase-V, DLF City, Gurgaon. It will comprise of a single Tower with 76 apartments. The three-acre complex housing the Tower will feature 19 floors with four apartments per floor. Its structure is designed for the highest seismic consideration in line with Zone-V norms to provide better safety. Standing on a 1.287-acre plot, The Royalton Tower will have a sparkling aluminum and glass fa�ade. Each apartment will have four spacious bedrooms, an L-shaped living and dining area, and a utility room. Essel Tower Overview:- Welcome to the most comprehensive resource for finding Apartments/Flats in Essel Towers, a premium high-rise residential apartment complex built on the prime location of MG Road in Gurgaon. 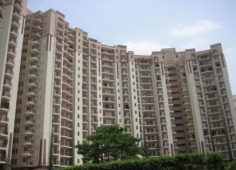 Essel Towers is a multi-storied group housing project by Essel Housing Project (P) Ltd on main Gurgaon-Mehrauli Road next to the Shopping Malls of Gurgaon. With 25 lakh sq. ft. built up area that is spread out over 30 acres, the Essel Towers boasts of some of the most impressive structures with 1135 incredible apartments. The site houses nine prestigious blocks � the Pilot�s Court, Diamond Court , Sapphire Court, Coral Court, Emerald Court, Pearl Court, Amber Court, Ivory Court and Orlov Court. All these blocks are designed to international standards with spacious interiors and beautiful surroundings. Laburnum Overview:- ITC Laburnum is a residential project in sector-29 of Gurgaon. 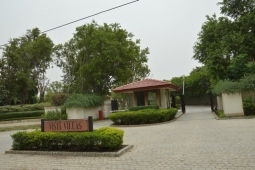 This peaceful locality is situated at a walking distance from Mehrauli Gurgaon (MG) road. Available units: At ITC Laburnum the developer has offered 300 apartments which will comprise of 3BHK and 4BHK flats. The 3BHK apartments will spread over three towers called the Laburnum Heights and the 4BHK apartments will spread over eight towers called the Laburnum Court Greens. Provision for 35 Villas has also been made which will include four bedroom villas. These will have three Levels+Terrace and will cover approximately 5000+ square feet on a plot size of about 300 square yards. Amenities: This residential complex is situated in an open green area and is also equipped with advanced amenities. Some of the standard amenities include a library and 100% power generator back-up. A healthy lifestyle will be maintained through a well built swimming pool, gymnasium, a well facilitated health-center, tennis and squash courts. There will also be a nursery school and a grocery store. Ample parking space has been provided with two levels of underground parking. The IVY Overview:- The Ivy is a high-end residential project which has been developed by the Silverglades Group � a renowned developer of boutique residential property in Gurgaon. It offers extravagant living options in the form of ready to move in penthouses in Sushant Lok, Gurgaon. The biggest highlight of The Ivy by Silverglades Group undoubtedly remains the fact that it is a ready to move in property in Gurgaon, which means that your favourite penthouse is available for immediate possession. For those looking for premium residential spaces in Gurgaon, it does not get any better than this. Exotica Overview:- Introduction: Parsvnath Exotica which is set among tranquil environ is a perfectly executed residential project. 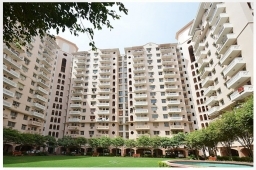 Location: Parsvnath Exotica is strategically located in Sector 53 within Gurgaon. It comes under Gurgaons suburban region Golf Course Road. The project offers a strategic location for it lies close to other high end upscale residential projects such as The Aralias and The Pinnacle and commercial establishments such as South Point Mall. Connectivity is ensured via Golf Course Road and HUDA City Center Metro station. Besides Golf Course Road, connectivity is assured due to the presence of Golf Course Extension Road, Gurgaon Fardiabad Road and Sohna Road in its vicinity. DLFs Golf Course is a landmark of this suburb, which prompts affluent buyers to invest in property on Golf Course Road Its neighbourhood is formed by TDI Ourania , Vatika Trade Centre and DLF Trinity Tower. Available units: Investors and end-users can vouch for the quality of 3BHK, 4BHK and 5BHK apartment. Areas of these vary from 2645 square feet to 8580 square feet respectively. Buyers would be attracted to this project due to its easy and flexible payment plan. DLF Prinston Estate Overview:- Introduction: DLF Princeton Estate set on acres of lush greens is a creatively crafted residential project. 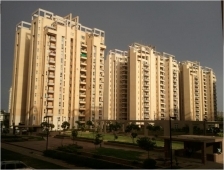 Location: It is placed in Sector 53 within Gurgaon. It happens to be in Gurgaons suburb called Golf Course Road. 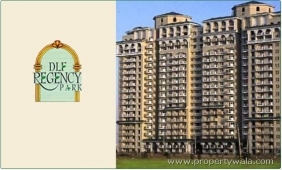 This presents an ideal location as it lies close to DLF Golf and Country Club, DT Mega Mall. Golf Course Road ensures connectivity. Besides this, presence of Golf Course Extension Road, Gurgaon Faridabad Road and Sohna Road in its vicinity also facilitates travel. Suitable to the property needs of an elite crowd, this suburb offers a beautiful view of DLF Golf Course. It lies in the vicinity of DLF Wellington Estate, DLF Royalton Tower and DLF The Icon. 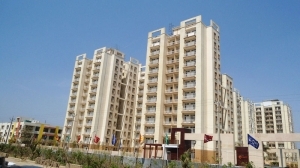 Available units: Housing choices offered here include 2BHK and 3BHK apartment. You can choose from different sizes which vary from 964 square feet to 1298 square feet respectively. Buyers would be attracted to this project due to its easy and flexible payment plan. Interior Specifications: Your home reflexes your standard of living which is made possible by high-class interior specifications. Enjoy morning views while sipping a hot cup of tea in spacious balcony of your bedroom. Spacious kitchens in abodes here have gorgeous granite counters and stainless steel sinks. The list of specifications also includes designer flooring to match theme of the walls and modular wardrobes in each bedroom. 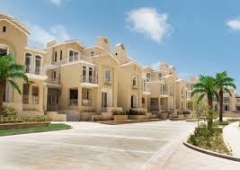 Wellington Estate Overview:- Location: The project site happens to be in Sector 53 of Gurgaon. It comes under Gurgaons suburban region known as Golf Course Road. This presents an ideal location for it lies in the vicinity of the Golf Course and hospitality landmarks like Ibis Hotel and the award winning club DLF Golf and Country Club. Golf Course Extension Road, Sohna Road and Gurgaon Faridabad Road help to connect this region to other parts of the city besides the Golf Course Road. 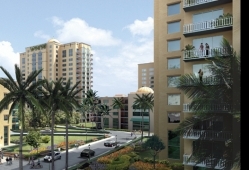 Named after DLFs Golf Course, it caters to the property requirements of an affluent crowd. 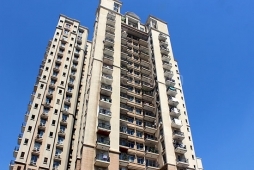 It is close to DLF Princeton Estate, DLF Royalton Tower and DLF The Icon. Available units: Investors can choose from 3BHK and 4BHK apartment. Areas of these vary from 1330 square feet to 1685 square feet respectively. Builder offers great payment plan. DLF Carlton Estate Overview:- Introduction: DLF Carlton Estate spread across verdant landscapes is a perfectly executed residential project. 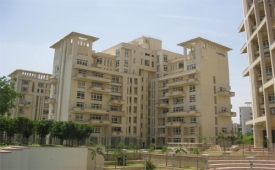 Location: DLF Carlton Estate lies aptly in Sector 53 of Gurgaon. It is in Gurgaons suburb called Golf Course Road. The project offers a strategic location for it lies close to other high end upscale residential projects such as The Aralias and The Pinnacle and commercial establishments such as South Point Mall. Connectivity is ensured via Golf Course Road and HUDA City Center Metro station. Roads such as Golf Course Road, Golf Course Extension Road, Gurgaon Faridabad Road and Sohna Road facilitate connectivity. The landmark feature of this suburb as well as the promise of a rich work and life culture beckons affluent investors to spend their capital to acquire real estate property on Golf Course Road Its neighbourhood is formed by TDI Ourania , Vatika Trade Centre and Parsvnath Exotica. Available units: Residential options available here include 3BHK and 4BHK apartment. Area of these housing options ranges from 1267 square feet to 1740 square feet respectively. Builder offers great payment plan. Raheja Atlantis Overview:- Located in sector 31, Gurgaon, Raheja Atlantis boasts of all modern day amenities and superbly built residences. Atlantis is one of the premium residential offering meant to cater only to the ultra-sophisticated clients who appreciate quality and value living lifestyle above all else. Ready to move in, Atlantis gives the opportunity of living in a five-star elegance in the heart of Gurgaon opposite 32nd milestone and is directly accessible from NH-8. It offers 3 and 4 bedroom condominiums, luxurious penthouses, presidential suites and grand villas to suit to a large range of preferences and budgets. It also offers premium on-site features like round-the-clock security, double-level basement parking, split-level living rooms, jacuzzi, shower cubicles, modular kitchens, designer flooring, imported marble and many more. FREEDOM PARK LIFE Overview:- Freedom Park Life is a residential development of BPTP Group located in Sector-57, Gurgaon. It is an 18 storeyed building offering 2BHK apartments that spread over a built-up area of 1446-1697 sq. ft. each, 3BHK apartments that spread over a built-up area of 2293-2762 sq. ft. each, 4BHK penthouses that spread over a built-up area of 4632 sq. ft. each and 5BHK penthouses that spread over a built-up area of 5010-5513 sq. ft. each. The project is well equipped with all the modern day amenities and basic facilities. WEMBLEY ESTATE Overview:- Wembley Premium Towers is a residential development of Eros Group located at Sector 50, Sohna Road, Gurgaon. It is a multi-storeyed building offering 2BHK apartments that spread over a built-up area of 1040 sq. ft. each, 3BHK apartments that spread over a built-up area of 1367-1863 sq. ft. each and 4BHK apartments. The project is well equipped with all the modern day amenities and basic facilities . AMBIANCE LAGOON Overview:- Ambience Lagoon is one of the ready to move in residential developments by Ambience Group. It is located at Sector-24, NH-8, Gurgaon, Haryana. Complex comprising of 345 luxury apartments which offer 2BHK flats of size 1496 sq. ft., 3BHK flats of size ranging from 2000-3300 sq. ft., 4BHK flats of size varying from 4000-4500 sq. ft. and 5BHK flats of size 5100 sq. ft. The project is approved by Directorate of Town and Country Planning and is well equipped with all the amenities to facilitate the needs of the residents. Round-the-clock security is also available. 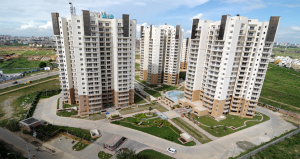 VIPUL GREEN Overview:- Vipul Greens is one of the completed projects of Vipul Limited located at Sector-48, Gurgaon. It offers option of 3BR, 3BR + study, 4BR & Penthouse ranging from 1860-3387 sq. ft. with 644 residences. The project is well equipped with modern day amenities and is located in close proximity to major utilities. Park View Spa Overview:- Bestech Park View Spa spread across an abundant land parcel is a unique residential project. This super luxury residential address got total 386 apartments for sale. One can opt for a residency from air-conditioned 2BHK, 3BHK and 4BHK apartments. These cover an area from 2470 square feet to 3715 square feet respectively. The project is available at an attractive payment plan. 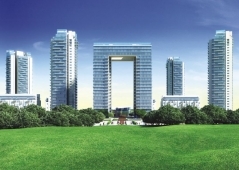 Ireo Grand Arch Overview:- IREO Grand Arch, is part of a 700+ acre township called the IREO City, located at the Golf Course Road Extension on 60 meter wide sector road, in Sector-58. The construction is being done by L&T and follow the Shear Wall Construction concept. The Shear Wall Construction method ensures a completely brick less structure, and hence delivering a quality finish and a seepage free product for the lifetime. A lot of thought has gone into planning The Grand Arch. Unlike most developments, The Grand Arch has a very Multi-dimensional feel to it, as the towers are well placed, and of different heights (4 Towers of G+7, 4 Towers of G+29 and 1 Tower of G+22). Also, there are plenty of open spaces & landscaped gardens, giving each resident a sense of space & freedom. 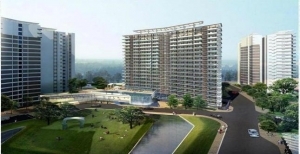 DLF Regency Park II Overview:- DLF Regency Park II is a Top Residential Apartment complex located in DLF Phase - IV near very popular Galleria market, DLF City Club. It provides a perfect & Ideal Options for those People who are looking for highend luxurious apartments in Gurgaon. MGF The Villas Overview:- Emaar MGF The Villas is one of the Residential development of Emaar MGF, located at Gurgaon. It offers spacious and skillfully designed 2BHK, 3BHK and 4BHK flats and villas. The project is well equipped with all the amenities to facilitate the needs of the residents. DLF New Town Height , Sector 90 Overview:- DLF brings quality living and contemporary lifestyle at NEW TOWN HEIGHTS, a residential project in Sector-90, Sector-86 & Sector-91, Gurgaon. It is a truly integrated township in new Gurgaon that is conveniently connected to NH-8 and Manesar via 60 meter wide Sector Roads and the 135 meter wide Multi Utility corridor respectively. It is also adjacent to about 1000 acres of reserved greens. Uniworld Garden Overview:- Uniworld Gardens is a residential development of Unitech Groups located at Sector-47, Sohna Road, Gurgaon. It is a multi-storeyed building offering 3BHK apartments that spread over a built-up area of 1770-2035 sq. ft. each and 4BHK apartments that spread over a built-up area of 2300 sq. ft. each. The project is well equipped with all the modern day amenities and basic facilities. 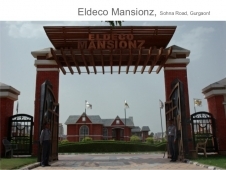 Eldeco Mansionz Overview:- Eldeco Mansionz is a premium project launched by Eldeco Group. It is located at Sector 48, Sohna Road, Gurgaon. The project is well connected to major sectors of the city. The project offers world class amenities like gyms, 70% green area, parking area, jogging track, playing area and 100% power back up. 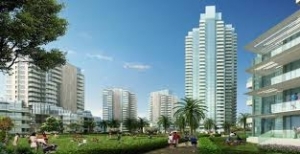 Uppal Southend Overview:- Uppal�s Southend is a first of its kind fully integrated, well-planned residential township developed in the residential hub of Gurgaon. Spread over 137 acres with 1263 plots and no high-rise buildings. The Legend Overview:- Clarion Group has set up a luxury residential project in Sector 57 of Gurgaon and named it 'The Legend'. Popularly referred to 'Clarion The Legend' in the real estate market, this project has several facilities which make a stay within this gated and secure complex a good living experience. 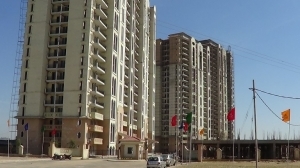 Tulip Orange Overview:- After the Phenomenal success of Tulip Petals in Sector 89 at Gurgaon, Now Tulip Infratech has launched Tulip Orange in Sec 69-70, Sohna Road. It offers spacious and skillfully designed 3BHK apartments. The design of Tulip Orange Homes has stem from a unique approach towards the beauty and transience of tulips in springs. The project is well equipped with all the amenities to facilitate the needs of the residents. The Palm Springs Overview:- The Palm Springs in sector 54 Gurgaon, is designed to provide luxury integrated community living, set in dramatic and spectacular surroundings. The Palm Springs is wholly self-contained and amenity rich. A harmonious blend of lifestyle options; from low rise luxury villas to spacious apartment towers situated in acres of elegantly landscaped garden and parks. Central Park I Overview:- Central Park I is a residential development of Sweta Estates located at Sector 42, Golf Course Road, Gurgaon. The project offers 2BHK, 3BHK and 4BHK apartments and penthouses. These residential spaces allow their customers the flexibility to design their interiors, so that each apartment is marked by a unique and personalized style statement. Unitech Vista Villa Overview:- Unitech Vista Villas is one of the popular residential projects that is located in Sector 45, Gurgaon. Developed by Unitech, this project offers thoughtfully constructed 3BHK, 4BHK and 5BHK villas with modern amenities for the comfort of residents. Adding to this, it is situated close to the market, hospital and many educational institutions. 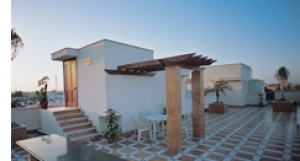 Ambience Caitriona Overview:- Find Luxury apartments and flats for rent in Ambience Caitriona. Ambience Caitriona is a premium community in the prestigious about 135 acre premium integrated township 'Ambience Island' on NH- 8, Delhi-Gurgaon Border. The project is well equipped with all modern day amenities like health facilities, 24hr backup, Indoor Games, Garden, Security etc. Dlf Westend Height Overview:- DLF Westend height set on acre of lush greens is a creatively crafted residential project, Situated in Dlf Phase 5.Book your dream apartment/Flat at very competitive and affordable prices. 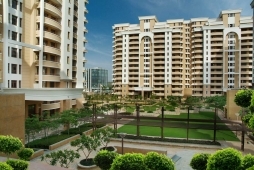 Beverly Park 2 Overview:- DLF Beverly Park, located in Gurgaon is yet another project of DLF in Gurgaon. Dlf give wide range of variety of world class amenities within its premises. 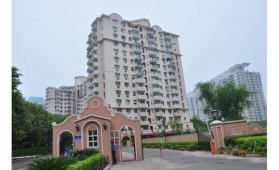 It is connected with the posh South Delhi area via the Gurgaon-Faridabad expressway and well linked with all regions of the NCR. 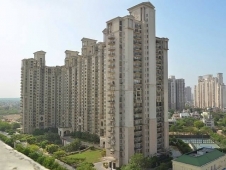 DLF Phase 2 Overview:- Find Residential apartments for Rent/Lease in DLf Phase 2 Gurgaon, according to your budget and space requirements taking all the advantages of a perfect location, luxury specifications. 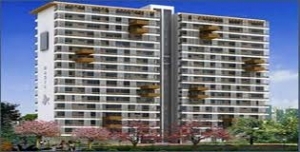 Tata Primanti Overview:- Tata Primanti, the latest project developed by Tata Housing, is located in Sector 72, Gurgaon. The integrated township is offering spacious residential apartments, villas, penthouses and independent floors. The project is well equipped with all the modern day amenities and basic facilities. Conscient Heritage One Overview:- Heritage one is one of the Apartments/Flats developed by Conscient infrastructure Pvt. 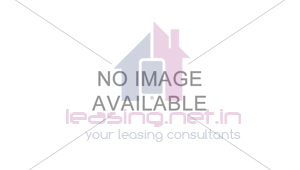 Ltd. offering Apartments/Flats spread over a built-up area of 1890-2390 sq.ft. This project has several facilities which make a stay within this gated and secure complex a good living experience. Duplex Villa Overview:- Find Independent house / Villas for rent / lease in DLF CITY PHASE 2. It includes Ground/ First/ Second with Terrace, 6BHK independent villa spread over a built-up area of 4500 Sq. Ft. Find luxury apartments and flats for Rent/Lease in Gurgaon according to your budget and space requirements. TDI Ourania Overview:- Ourania, a Joint Venture between TDI and Neelkanth Town Planners, is a high-end luxurious condominium comprising of three towers featuring air conditioned bedroom apartments/flats with 100% power back up, Modular kitchen, complete wooden work with all modern amenities. South City 1 Overview:- Find Independent house / Villas for rent / lease in south city 2. They offering 2BHK, 3BHk and 4BHk luxury Apartments/flats spread over a built-up area of 2500 sq. ft. Communicate with your real estate agents to book your dream Independent house/Villa at South City 1 and get best deal appropriately. Wood Stock Overview:- Unitech Woodstock Floors, located in Sector-50, Gurgaon is yet another project of Unitech Limited. They offering 3BHK and 4BHK, Ultra luxurious Independent Floor on First Floor with all modern amenities & facilities including Modular Kitchen, RO Purifier, Designer concept Washrooms, Elegant living rooms, Luxurious Bed rooms, 24Hr Backup, Club House, Community Hall, Swim Pool, Tennis & Badminton Court, Gym etc. 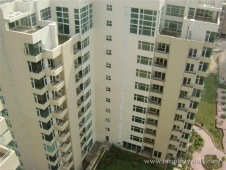 DLF Belvedere Park Overview:- DLF Belvedere Park is one of the commercial Apartments/Flats developed by DLF Group. 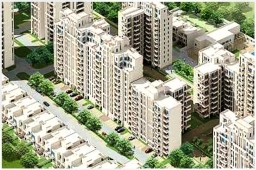 This residential development is located in Dlf Cyber city in phase 3, Gurgaon. The project offers 3BHK and 4BHK flats at very competitive and affordable price. Omaxe The Nile Overview:- . 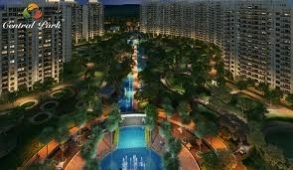 DLF REGENCY PARK 1 Overview:- . Unitech Harmony Overview:- Harmony a Large, airy and upscale apartments designed in Nirvana Country with 80% open spaces and large landscaped area. Discover a neighborhood of elite like-minded residents. It is located in sector 50, adjacent to Golf Course Extension road. 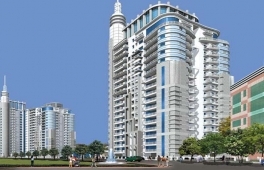 DLF Trinity Tower Overview:- . Palm Drive Overview:- Emaar MGF has announced their new project Emaar Palm Drive in the prime location of Sector-66, Gurgaon. Now, be the owner of luxurious Studios, 1BHK, 2BHK, 3BHK, 4BHK and 5BHK at an affordable price list to cater the requirement of numerous income group. The project is crafted aiming at every necessity of the people so that they have everything available at one stop with ease and comfort being the priority. The project is a great choice for the buyers as it is a perfect blend of beauty and contemporary features and proximity to several prestigious gated communities, schools and shopping malls. Book a house in the elite locale to bring your family and workplace closer together for a blissful living! M3M Golf Estate Overview:- M3M India Ltd. 7 star luxury project - M3M Golf Estate is spread over a sprawling 30.35 hectares (75 Acres) and is located on the posh Golf Course Road (Extn.) in Gurgaon, India. Designed by world's leading Architectural firm - Arcop International from Canada. Spearheaded by their chief architect Mr. Ramesh Khosla who's credited with landmark residential developments in Gurgaon namely Garden Estate, Laburnum to name a few. 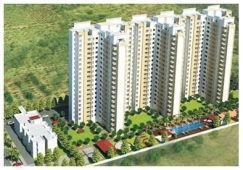 Bestech Park View Ananda Overview:- Bestech India Pvt Ltd has launched yet another project in Gurgaon. 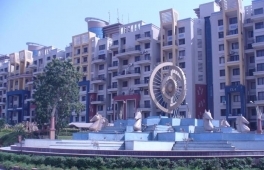 Bestech Park View Ananda is located in Sector-81. Park View Ananda is an exquisite group housing project which connotes ultimate comfort and luxury. It is crafted to match your contemporary lifestyle! 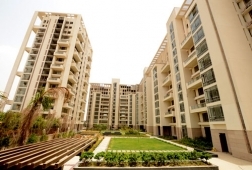 Be it the design, architecture or specifications, �Ananda� delights you all the way! DLF Oakwood Estate Overview:- DLF Oakwood Estate, located in Gurgaon, is a residential development of DLF Homes. It offers spacious and skillfully designed 3BHK and 4BHK apartments. The project is well equipped with all the basic amenities to facilitate the needs of the residents. The site is in close proximity to various civic utilities. Woodpecker Overview:- Each accommodation includes exclusive 2 or 3 bedroom apartments. All service apartments are fully furnished with attached toilets, a fully equipped kitchen, sitting room and dining area. Other facilities include: washing machine, cable TV, WIFI, 24 hours housekeeping.